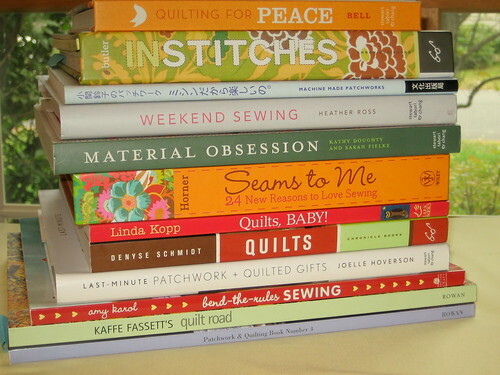 Love for sewing and books, originally uploaded by SewLaTea. Are there any recommendations out there? Any books I just NEED to add to my collection?